First, DC found their Shazam, and now, they have found their Billy Batson. 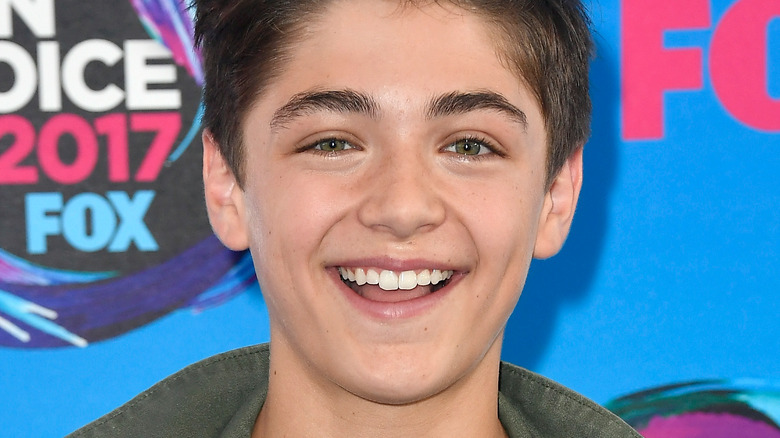 According to The Hollywood Reporter, Disney Channel star Asher Angel has signed on to play the young teen, who has the power to turn himself into an adult superhero by issuing the titular magic word. Angel currently appears on the series Andi Mack, and has also had roles in Criminal Minds: Beyond Borders, Nicky, Ricky, Dicky & Dawn, and the upcoming indie film On Pointe. Chuck's Zachary Levi is set to lead Shazam! as the titular hero, whose name is derived from the names of the ancient gods and famous figures Solomon, Hercules, Atlas, Zeus, Achilles, and Mercury, all of whom give the hero his powers. Kingsman's Mark Strong is in talks to play the villain in the film, who will reportedly be the mad scientist Doctor Sivana. Annabelle: Creation's Grace Fulton is set to play a friend of Billy's. David F. Sandberg, also of Annabelle: Creation, is set to direct the movie, which he says will have a "very fun, lighthearted" tone. "It's about a kid who becomes an adult superhero, so that's just gonna be so fun to explore," he previously said. "When I grew up in Sweden, there wasn't a lot of Shazam! around. So it's someone who I've learned to love later in life as well, so I can relate to [people who are] new to Shazam. I think [it] might be a good thing that I'm doing it, because I know what you need to learn." Henry Gayden (Earth to Echo) and Darren Lemke (Jack the Giant Slayer) worked on the script for Shazam!, which is set to go into production early next year. The movie has an April 5, 2019 release date.